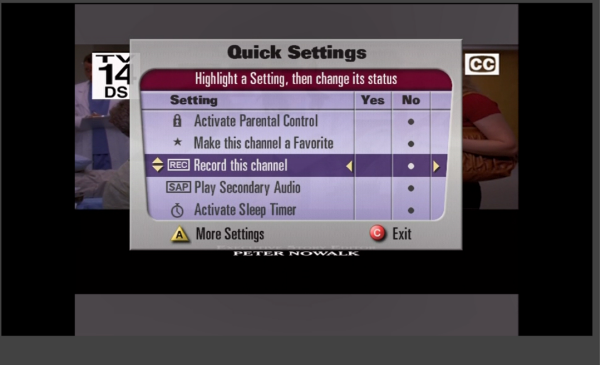 Press Settings to access Quick Settings. 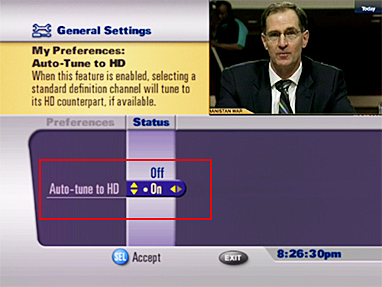 Press A to access the General Settings. Using the arrows, highlight My Preferences, and press OK. 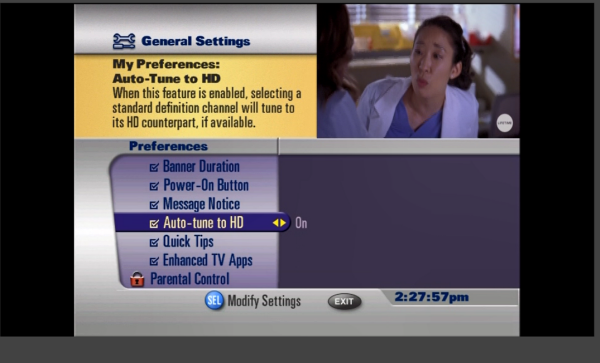 Using the arrows, highlight Auto-tune to HD, and press OK. Select On or Off, and press OK. 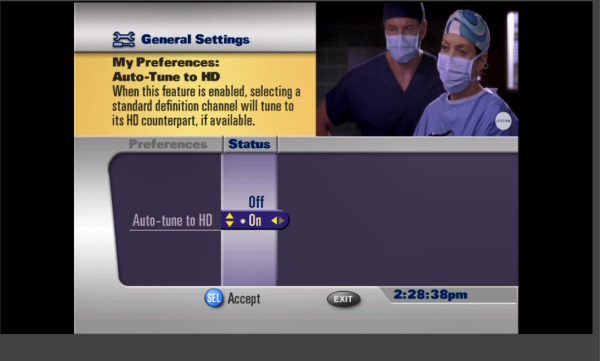 If a recurring recording was previously set in standard definition (SD), all recordings will continue in SD unless you manually change the recurring recording to the HD channel.